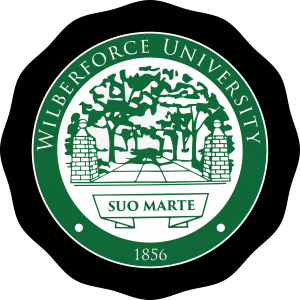 I write with deep sadness regarding the tragic loss of one of the members of our Wilberforce Family. We have lost Alexandria Austin, Sophomore, Psychology Major, from Wayne Pennsylvania in a one vehicle accident on N. Bickett Road. Alex was a member of the University Choir and Black Women United and contributed greatly to our community in many ways. As we mourn the loss of our beloved “Alex”, we ask for prayer for her family and for the 2 Wilberforce and 1 Central State University student who were seriously injured in this accident and are currently undergoing treatment at Miami Valley Hospital. Please join me in keeping Alex and her family and friends in our thoughts as we process the enormity of this loss. As we mourn the loss of our beloved Alex, please know that the dean of religious life, Rev. Freeman will be available for you, and members of the division of student engagement and success will be in the chapel to support you during this time. This morning at 10am, we will have grief counseling at the Alumni Multiplex and this afternoon at 5 pm we will gather at the Wilberforce fountain for a prayer vigil. Please join us as we gather as a family to pray for Alex and her family and those injured in this accident.